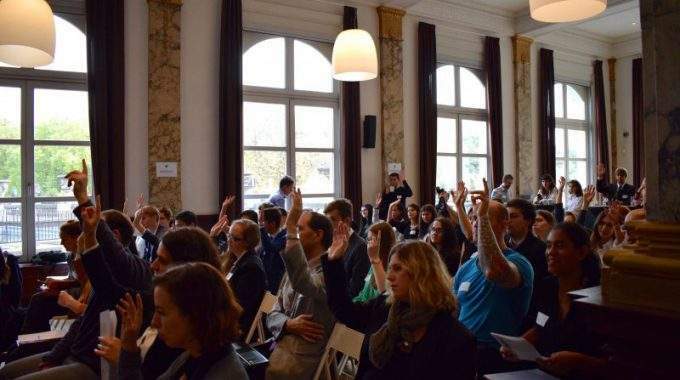 On 17 October 2017, ECAS held its third annual Digital Democracy Day – Rejuvenating Europe: Opportunities in the Digital World – focusing on identifying the most common challenges to youth participation in European policy-making and proposing several concrete solutions to them by using digital tools. The event represented the final conference of the Erasmus+ project Deep-linking Youth, a partnership between ECAS and six other organisations, in order to explore and test out different ways of engaging young people in the EU’s democratic life. Over 110 participants took part in the conference and the event has been viewed over 6,700 times online.